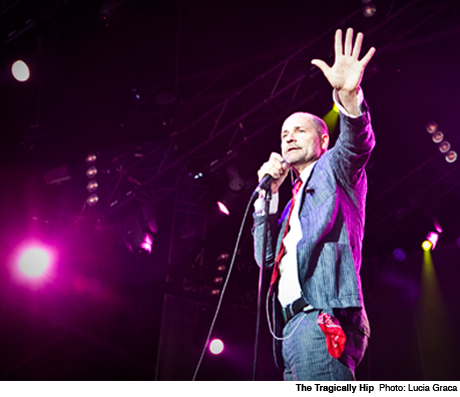 The Tragically Hip recently wrapped up a Canadian winter tour in support of their latest album, Now for Plan A, and the Canadian rock heroes are looking to continue promoting it during the coming months with more live dates. The band won't be embarking on a full-blown national tour, but will rather play a series of festivals, mini-tours and one-off engagements. They've got a few gigs in Europe in the early summer, but most of their upcoming shows are in Canada. The latest additions to the schedule is a run of Western Canadian dates in the first half of September. See the currently confirmed schedule below. Ticket information for all of the shows can be found over at the Hip's website. Watch Tessa Virtue and Scott Moir Skate to the Tragically Hip's "Long Time Running"